This is where you will find all of the available online training courses. 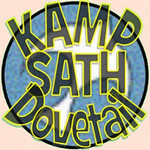 This course has been created to help volunteers answer their questions about KAMP Dovetail, learn about some of the characteristics of great volunteers, and what to expect from being at KAMP Dovetail. This course will cover all of your questions about KAMP, campers, other staff roles, and much, much more! If you have questions, this is where you will find the answer! This course is the training program for new and current staff members. The content of this training course is based on the Staff Training Manual compiled from the interviews of many veteran staff members.